The Piccolo has a wealth of customisable features and optional add-ons, meaning you can create the lift you want. Select from the wide range of interior and external finishes and create a lift that blends seamlessly into your home and suits your needs. We know how important space is in your home. 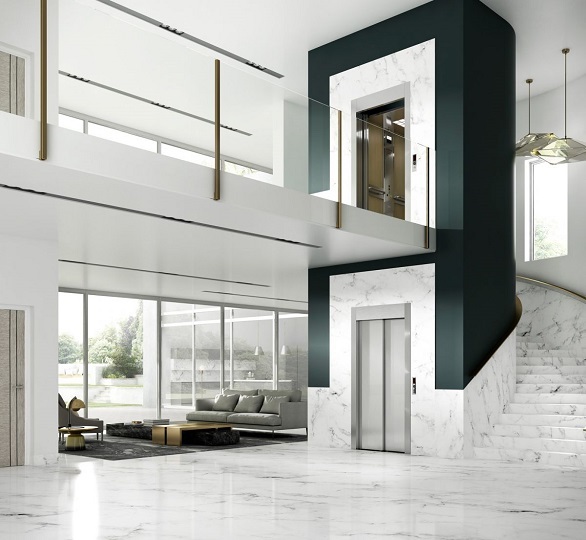 A Piccolo lift allows you to a compact shaft size and choice of car sizes make the Piccolo lift an affordable solution for residential homes and low-rise public buildings where space is limited. We know how important space is in the family home. 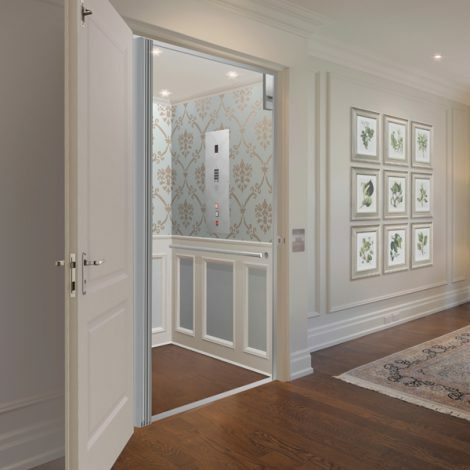 A Piccolo lift allows you to a compact shaft size and choice of car sizes make the Piccolo lift an affordable solution for residential homes and low-rise public buildings where space is limited. 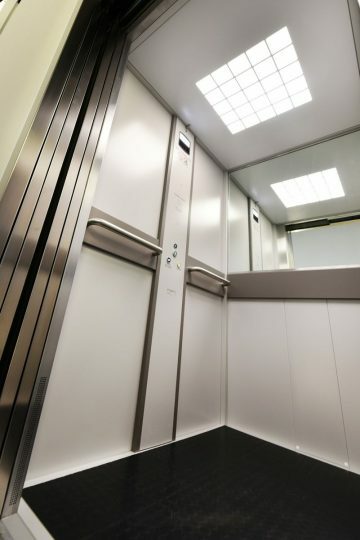 As it requires far less building work than a traditional vertical lift, the installation process is generally much quicker and simpler. The lift’s large car size comfortably accommodates a standard wheelchair. It can also hold up to five people at once, or transport shopping, prams, washing, luggage, furniture and other awkward loads with ease. The Piccolo can be installed using a wall-mounted configuration or the FX structure option, an option that offers reduced construction costs. The FX structure is ideal for timber-framed buildings and when walls aren’t strong enough to support a wall mounted lift. 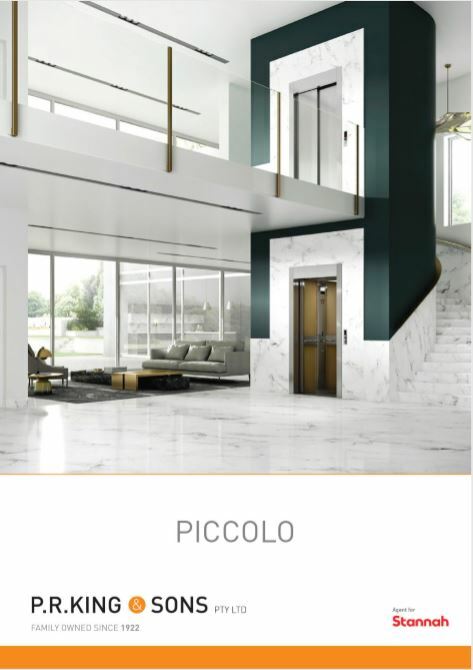 The Piccolo has been extensively tested by leading lift manufacturers and compliance offices so that you and your loved ones can travel in your home with complete peace of mind. 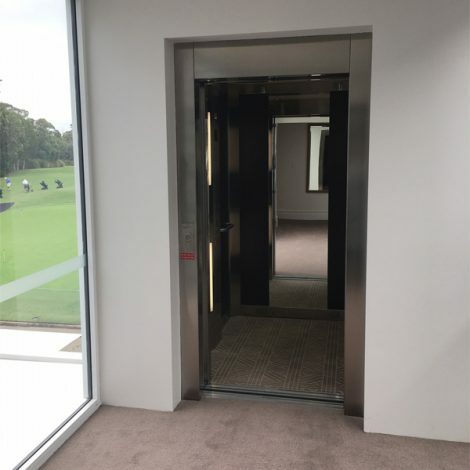 The lift meets all required Australian lift standards and safety requirements. Two manual safety valves allow the cabin to be manually lowered to the bottom entrance even during a power failure. A battery back-up supply ensures a light stays on during any mains power failure. 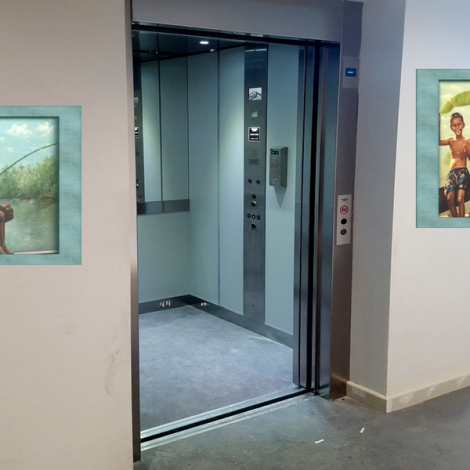 If power failure occurs whilst the lift is travelling the lift will stop and the passenger can send the lift to the next floor down to exit. A full door height infra-red electronic safety detection device automatically re-opens the doors if it detects a person or an obstruction whilst closing. The doors will remain open until the obstruction or person is removed. The intercom allows the user to connect with someone within the building in the event of an emergency. 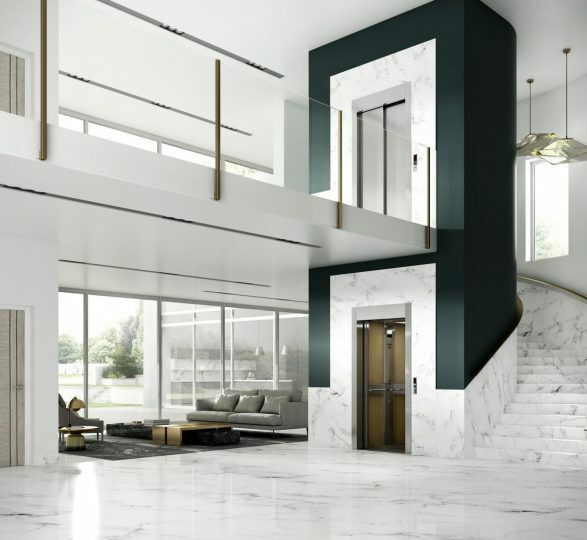 The optional fire alarm shutdown function means that in the event of a fire alarm, the lift will automatically travel to a designated floor, all calls will be disabled, and the lift will park with the doors open. Key switches allow users to isolate the associated controls. Energy saving LED lighting throughout the lift. Notification of floor level and travel direction. Landing and car doors with full height light curtain protection offer the highest safety standard. When the alarm push button is pressed in the cabin the auto-dialler will automatically phone out to the programmed emergency numbers. Is the Piccolo lift not quite right for your needs? 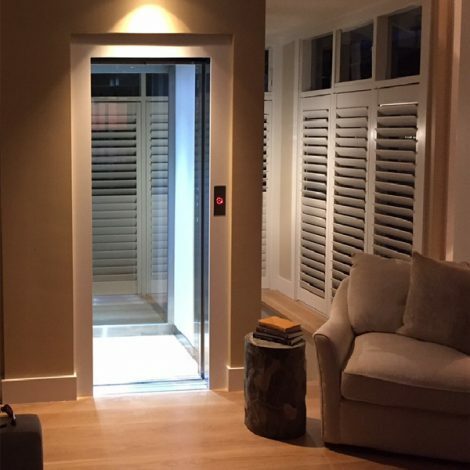 View our full range of home lifts here or contact us today. In accordance with Work Health and Safety regulations, all lifts are to be serviced in accordance with the manufacturer’s recommendations. We’re happy to help you with this, and we provide ongoing services as well as one-off repairs on all products we offer. Contact the P. R. King & Sons office today to find out more. Get in Touch! Extremely helpful, with info on the product and the time it would take to make and install it. The guys who installed … were prompt, professional and cleaned up after the installation. Very impressed with this company.